Rajarishi in Hinduism is a term used to refer to a sage king. The concept is also used to refer to a king among saints. The most famous Rajarishi in Hindu scriptures is King Janaka. A Rajarishi rules the kingdom as a visionary, with the values of a saint. 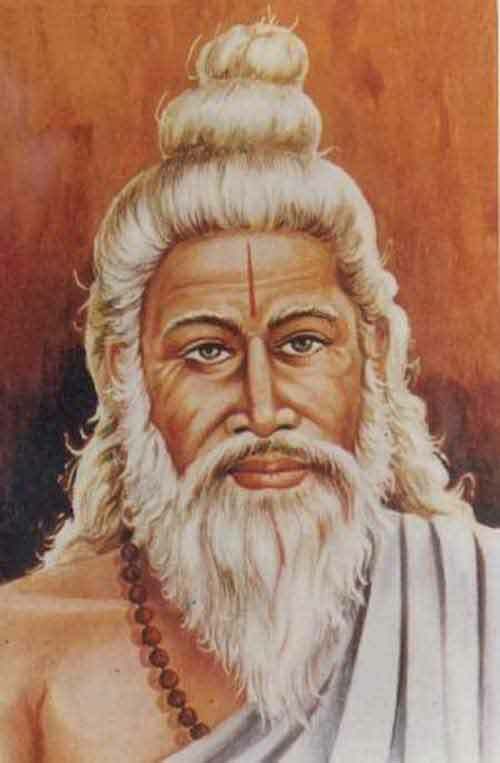 Vishwamitra, the famous saint of Treta Yuga, was a Rajarishi. Raja Janaka is a term constantly associated with Rajarishi. It is also believed that a king who had attained the status of Rajarishi was given the name Janaka. Janak means father. The king becomes a fatherly figure to all his subjects. Rajarishi should be an advocate of Truth, Dharma and Peace. He should assure justice and equality to his subjects. Atmosphere of freedom to pursue their vocations should be created. He should collect correct taxes for running the affairs of the kingdom. He should employ ministers with good knowledge, principle and discipline. He should encourage freedom of religion. He should respect pitrs, devatas, preceptors, aged and take care of those that need help. He should be an expert in warfare, use of weapons, economics and political science. He should be surrounded by courtiers who are knowledgeable and wedded to the welfare of the kingdom and its subjects. A Rajarishi should have control over sleep. He should be quick in taking decisions. All payments should be made on the fixed date. He should keep an eye on eighteen functionaries of his enemies and fifteen functionaries of his own kingdom through secret agents.